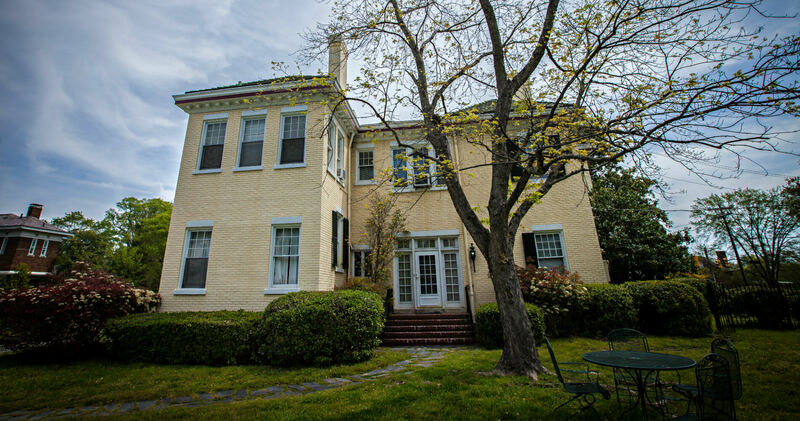 As self-proclaimed ambassadors for the city of Durham, NC and for the bed and breakfast industry, Monica and Daniel Edwards serve endless amounts of warmth, comfort, and charm. This perfect blend results in multiple 5-star rave reviews and awards from trusted travel sites such as TripAdvisor, Yelp, and Booking.com. On the verge of celebrating the 20th anniversary of Morehead Manor Bed and Breakfast, this local gem is undoubtedly a place where “elegance, excitement, and hospitality meet.” It is evident that the Edwards have worked tirelessly to preserve the home’s unique historic charm while putting their personal touches everywhere from the ceilings to the floors. Daniel’s natural flair for design enhances the ample furnishings, luxurious décor, and distinctive art collection. Personal touches such as complimentary beverages, scrumptious homemade desserts, and the signature Morehead Manor robe help to define the guest experience. Monica, a native North Carolinian from Southern Pines, moved to Durham in 1989 to pursue her MBA from North Carolina Central University (NCCU). Her background includes accounting, human resources, and Trust tax experience. Monica is currently the President of the North Carolina Bed and Breakfast Inns Association (NCBBI) and is Chair of the Tourism and Development Authority, which is the governing board of the Durham Convention and Visitors Bureau. She is a member of various local organizations and has served on the Advisory Board for the Professional Association of Innkeepers International (PAII). Monica is responsible for the day-to-day operations of the inn – she is an expert on all things hospitality. 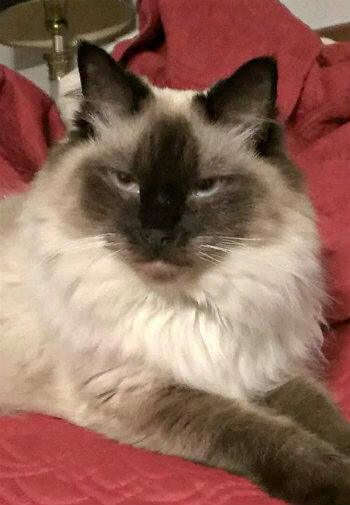 During your stay, you will have the opportunity to meet three other very important members of the Morehead Manor Innkeeping staff: Ronald, Georgia, and Shambé, hosts of the Siamese variety. Known for their beauty, intelligence, and vocal input, they are excellent company. 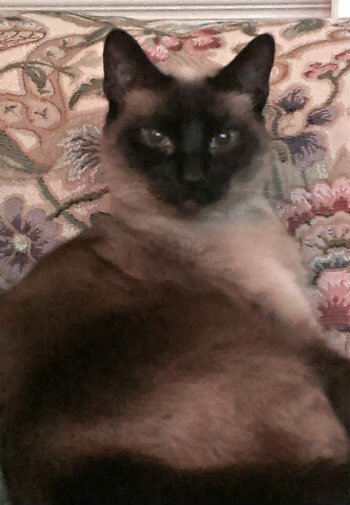 Siamese cats are typically hypoallergenic because of their short, fine fur. We understand that some guests may have a sensitivity to cats, so for your comfort, we can restrict them to the Innkeeper’s quarters if necessary. Just let us know.